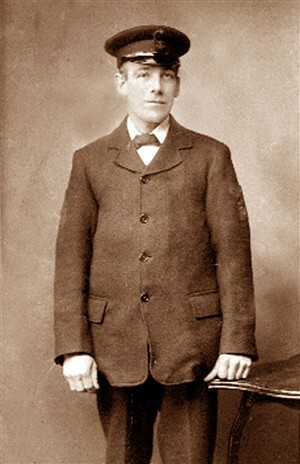 Having done some research I have discovered that my Grandfather was born in 1878 and died in 1944. During his time at sea he was classified as a Fireman/Greaser and after retirement as Bridge Master. 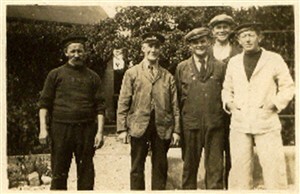 My sister has provided me with the photos appended to these words and show my Grandfather firstly looking very smart in his LBSCR uniform and then with a collection of friends looking as I remember him, being second from left in the photo. 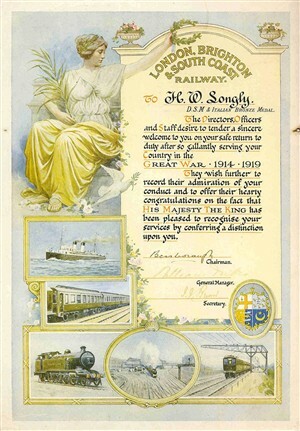 I also looked up the Certificate which was given to him by the LBSCR at the end of his service during WW I referring to the medals he was awarded, which was stored away in my study and a copy of this is also shown. His death at a relatively early age means that my memories of him must be from a time when I was quite young so it is surprising they are so clear. This page was added by Derek Longly on 08/06/2011.